The work of this Lithuanian artist is unique in many aspects. Egle uses a rare plastic and volumetric painting technique, which makes each of her paintings, frescoes and ornaments exceptional. The artist starts with forming of the structure, the landscape of the canvas, with the help of a volumetric material, and only then proceeds with the “finishing”. It is not only the paint that is applied onto the canvas, in her latest works the artist has been actively using enamel and gold leaf, which attributes an exceptional decorative effect to her scenery, among everything else. However, Egle’s landscapes are interesting not only for the decorative sumptuousness or for the unusual character of the plastic forms. An attentive observer will notice a multitude of symbols pointing to the depth and dusk of the ages. The ages enveloped in the veil of secrets, myths and mysticism. The universes, eluding the reality of time, where angels and demons, apostles and saints lived among the people and God for them was as real as the Internet for the people of our time. We see a man with wings (Who is he? An angel? Morpheus? Moira? ), fish, birds and a multitude of other, sometimes extraordinary, symbols. 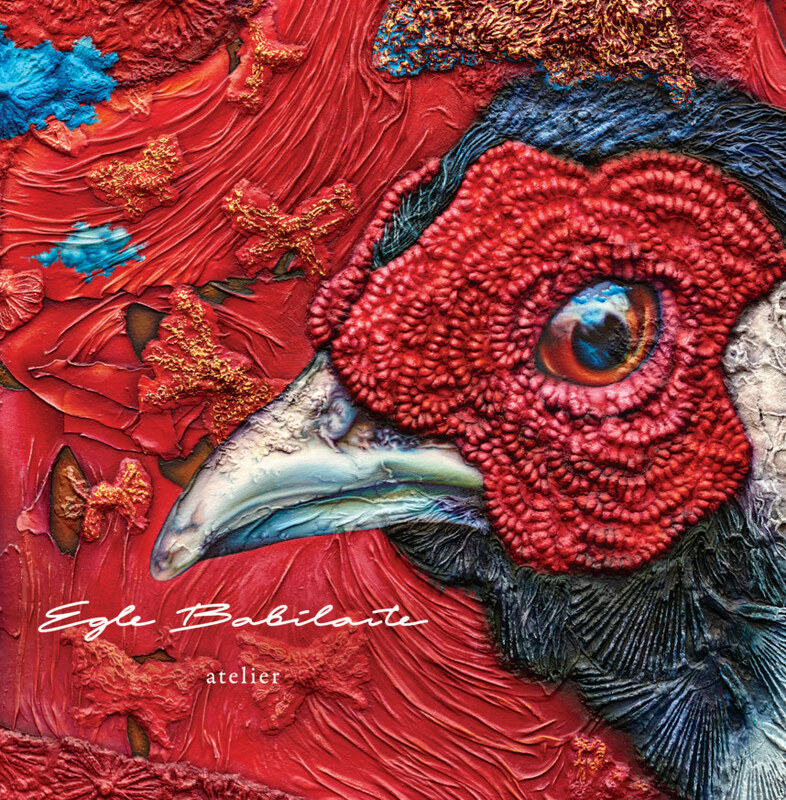 Egle’s paintings “live” on such a fine line of “reality” and “wonder”, and we look at the painter’s “world”, where a faerie bird with the “human” eyes is staring back at the spectator.. Extraordinary, beautiful, sumptuous, intelligent and interesting. All these words may apply when referring to the art of Egle Babilaite. A magnificent example of “intellectual painting”. Immensely talented, without a doubt.